Picture is of 9 year old Nick Corley who won 3rd place in the Melanoma Miles for Mile race at Borgia. Nick placed 3rd in the 15 and under age group with a time of 32:01. He is an active runner. 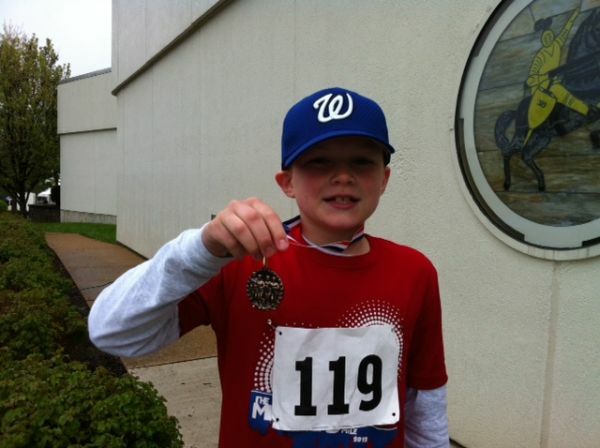 He also win 1st place for a 9U group race on Easter Morning - Rez Run (resurrection run) in Sunset Hills, MO. 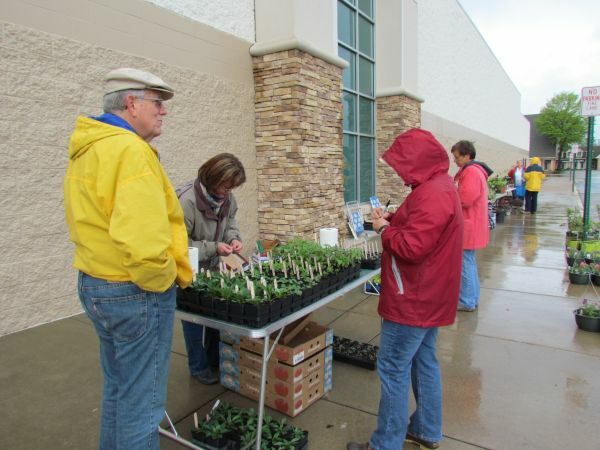 The Master Gardeners held a plant saleMay4, 2013. Photo submitted by Yvette R. Luedde. Kayden Peroutka took his Mom, Janine LaGarce to the Cardinals game Sunday, May 12. Kayden plays Union tee ball. Cathy Phillips found this peacock walking through her backyard in Union, Mo. Pictured are the Franklin County Relay for Life run winners. The run/walk event was held Saturday, June 18, at the Union City Park. A total of 80 participated in the annual event, which is one of many leading up to the Relay for Life. The Relay set for Friday, June 7, at the Washington Fairgrounds. Photo submitted by Shannon Cardinal-Apprill. Brittaney Leigh Apprill at SFBRHS graduation. Photo submitted by Shannon Cardinal-Apprill. Photo submitted by Tina Garrison. A piece of art from the Art Fair and Winefest. Photo submitted by Tina Garrison. Storm Damage at Smilin' Sams. Photo submitted by Kayla Marie Schaefer. The union memorial day parade was great for adults and children and featured a good variety of vehicles.